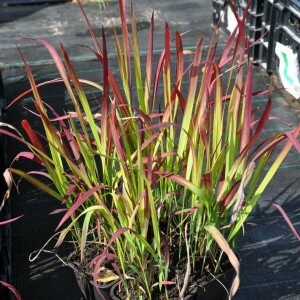 Imperata is a sort of perennial grassy plants belonging to the family of Gramineae. In culture there is only one type of this sort – Imperata, that is known as Imperata cylindrica. This plant has also other names, such as: Lagurus cylindricus, Imperata koenigii, Alang-alang, Kogonova grass, Imperata trostnikovidny, Kazaro. Cylindrical lives in the wild nature of Imperat on all continents with warm climate though its homeland is China, Japan and Asia. The plant has the narrow rhizome of light yellow color, creeping escapes, a direct and smooth stalk 40-90 cm high, the narrow, rigid, pointed leaves having the next arrangement, and inflorescences (about 10 cm) in the form of a cylindrical whisk of silver-white coloring. Blossoming usually comes in the middle of the spring, but this phenomenon rather rare. Sape grass. Sape grass variety. Sape grass cultivation.